Boston Herald to Globe Editorial Push: Press This! Tomorrow is the big day for the Boston Globe’s nationwide initiative to counter Donald Trump’s “dirty war against the free press.” Roughly 200 newspapers have signed on to publish editorials tomorrow explaining and defending the importance of a free and independent press in America, as the Globe details in this web piece today. 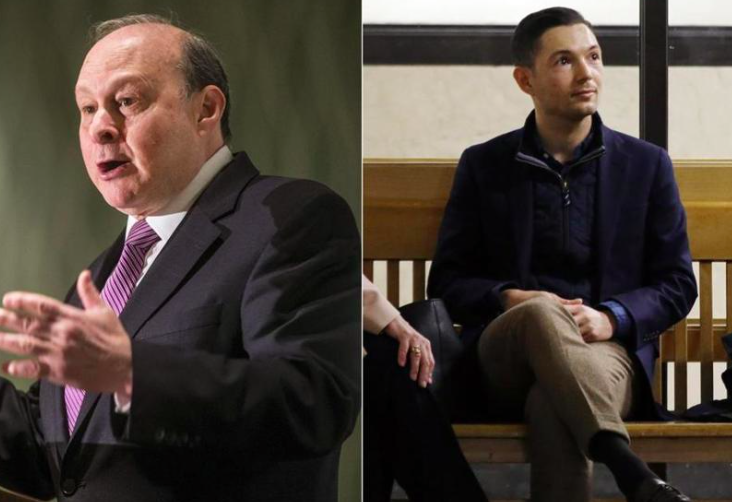 Around 200 news publications across the United States have committed to a Boston Globe-coordinated effort to run editorials Thursday promoting the freedom of the press, in light of President Trump’s frequent attacks on the media. 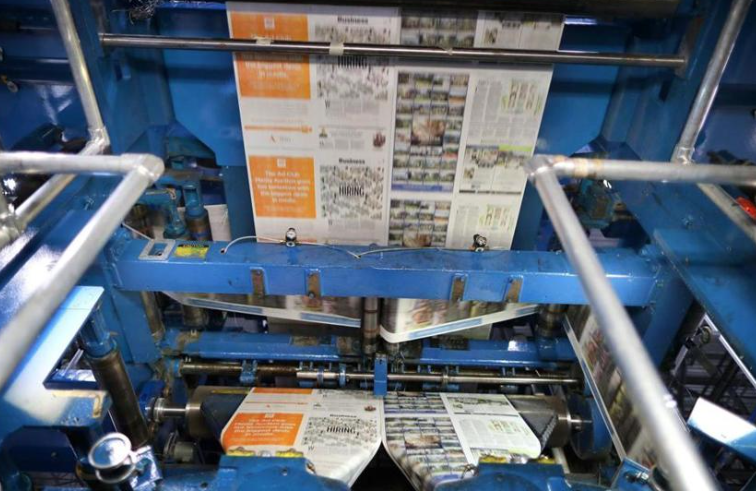 Some of the most respected and widely circulated newspapers in the country have committed to taking a stand in their editorial pages, including The New York Times, The Dallas Morning News, The Denver Post, The Philadelphia Inquirer, and the Chicago Sun-Times. The list ranges from large metropolitan dailies to small weekly papers with circulations as low as 4,000. But when you scroll through the list itself, there’s one paper that’s conspicuous by its absence. That’s right . . . the Herald. So we sent this note to Boston Herald editor Joe Sciacca. 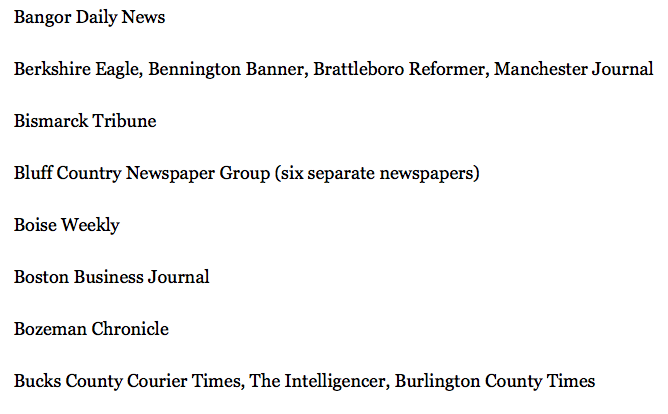 [We’re] just posting to Two Daily Town about the Globe’s nationwide push for editorials fighting back against Donald Trump’s “dirty war against the press” and couldn’t help but notice that the Herald is not one of the newspapers participating. Could you perhaps just drop [us] a quick note about the Herald’s position on this initiative? [We’re] guessing [our] splendid readers would be very interested in that. We will, as alway, keep you posted. 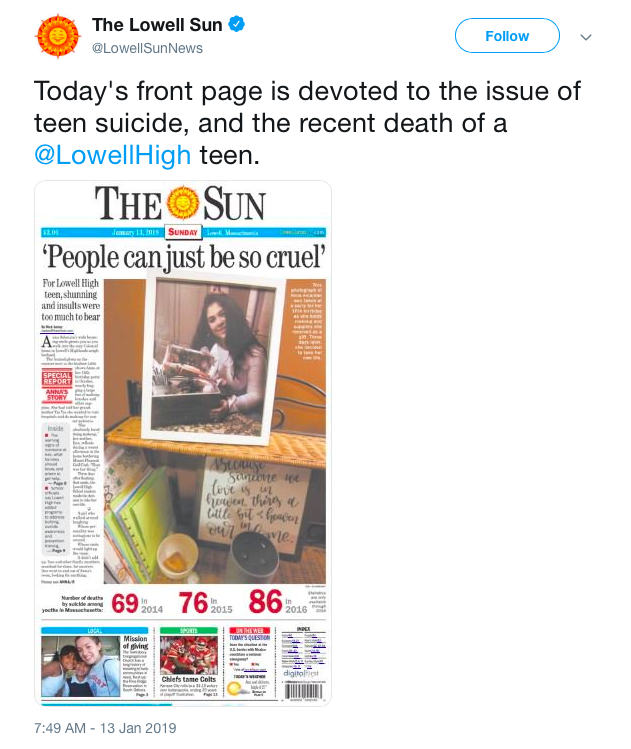 For years, the hardreading staff has noted in awe the ability of the Boston Herald to celebrate itself and sing itself in the paper’s purported news pages. But Wednesday’s edition of the selfie local tabloid might represent its greatest achievement yet: An interview with the Herald’s editor by the Herald’s favorite flack. This purported column by barely read Talkers magazine publisher Michael Harrison about barely heard Boston Herald Radio. 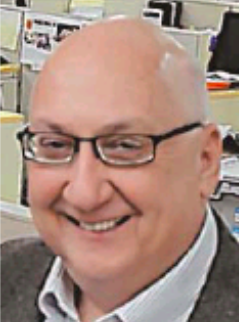 Boston Herald Editor-in-Chief Joe Sciacca is a newspaperman with truth in his heart, ink in his blood and digital vibrations in his brain. 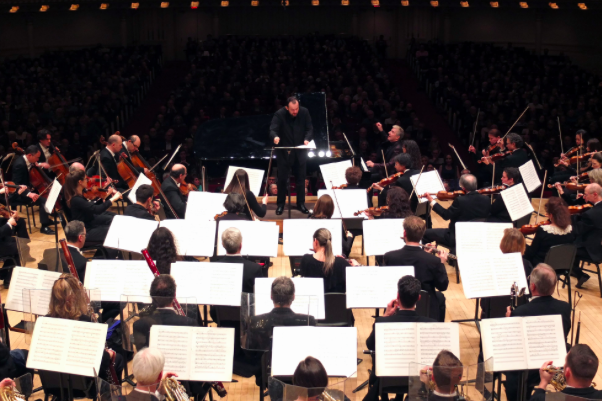 Along with a multigenerational team of information practitioners, Sciacca has transformed what was purely a print publication into a multimedia news organization that spawned its own online radio station. Seriously? Truth in his heart? Multimedia news organization? 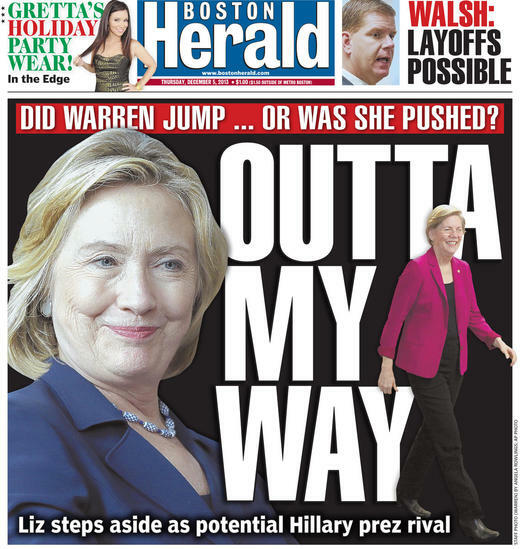 Think the up to 17 Boston Herald Radio listeners know that? 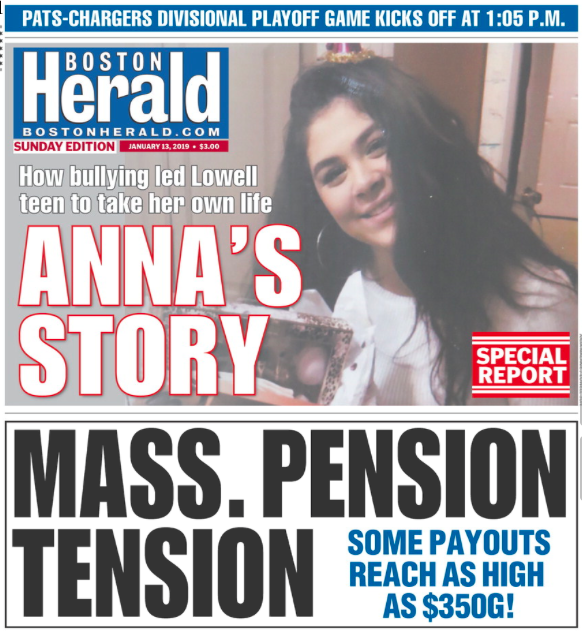 It’s been one year since the feisty local tabloid launched Boston Herald Radio, and the paper is celebrating the anniversary in its accustomed style. Start, as usual, with Page One. “Best yet to come”? That’s good to hear. Inside, the firsty local tabloid devotes a full-page, Joe Battenfeld-bylined piece to the anniversary bash. Herald Radio’s launch was named to the prestigious Frontier Fifty list of outstanding talk media webcasts in the nation by industry bible Talkers Magazine. Which got the headscratching staff to wondering: How many talk media webcasts are there in the nation? 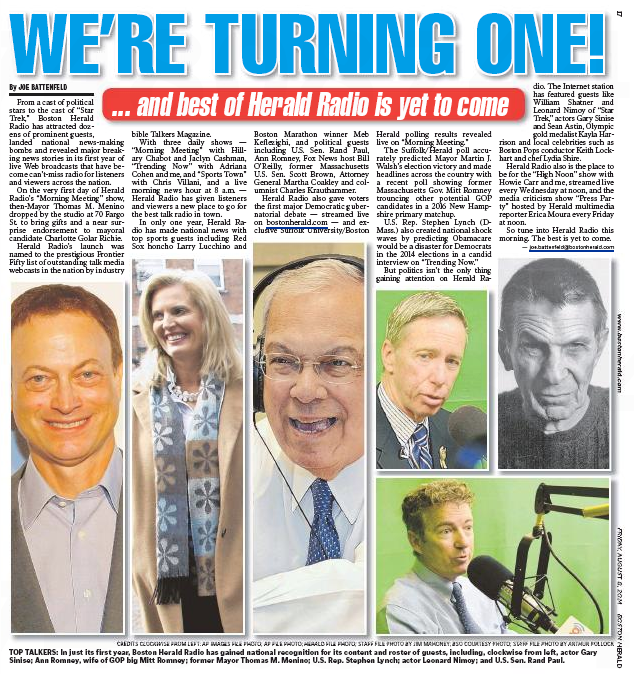 Let’s hope Boston Herald Radio’s second anniversary headline is, We’re Number 35! We’re Number 35! Good luck, guys, and happy anniversary. So what pops up on page two of today’s Boston Herald but . . . Page One. Welcome, everyone, to the Page One Blog, where we’re going to provide some information and details on each day’s Boston Herald cover. As Page One Editor, it is my goal — working in conjunction with Editor in Chief Joe Sciacca and Managing Editor/Creative Gustavo Leon — to produce an impactful, interesting and engaging cover page. The emphasis on Page One is solely only-in-the-Herald content, be it stories broken by our reporters, exclusive interviews, the passionate opinions of our news, political and sports columnists, or simply a compelling staff photograph. Obviously, there’s excellent material to work with! If they do say so themselves.